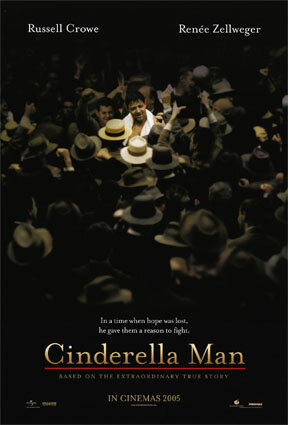 Ron Howard’s Cinderella Man is an old fashioned sort of movie in many ways. It is both schmaltzy and dramatic in the way that the movies of its period, the 1930s, so often were, yet without (for the most part) the postmodern knowingness with which Hollywood usually patronizes the past, including its own past, these days. It tells the story of James J. Braddock (Russell Crowe), the down-and-out Irish dockworker from New Jersey whose seemingly miraculous victory in a heavyweight title fight in 1935 is presented as a moral parable, less Cinderella than David and Goliath. Here is Hollywood doing what it does best — or at least most often and most successfully — namely gratifying the audience’s lust for the triumph of good over evil. Braddock is here represented as an old-fashioned hero too: tough, modest but undaunted by the great odds against him or the fearsome reputation of his opponent, Max Baer (Craig Bierko), who has killed two men in the ring. He is patient in adversity, honest, humorous, loving to his wife, Mae (Renée Zellweger) and children and a moral straight arrow, while Baer is represented as a braggart, a bully and a philanderer. That the historical Max Baer was none of these things is neither here not there. It’s just too bad that his reputation has had to be sacrificed to enhance Braddock’s, but Hollywood parables, like socialism according to the late dictator, Josef Stalin, are omelettes which cannot be made without the breaking of eggs. Moreover, Braddock is the darling of Hollywood in another way too, for he is the man who, so Mr Howard tells us, gave hope to America in the depths of the depression. That is to say, he is the Cinderella Man rather than Jack the Giant Killer because (I guess) he made people believe that they too could be suddenly translated from being hungry, broke and unemployed to fame and riches overnight. A politically minded film-maker would not consider this to be any kind of achievement on his part, but the Hollywood religion of sentimentality trumps even politics. I’m as much a sucker for sentiment as the next guy, and confess to a little lift in my heart when the adorable Miss Zellweger says to Braddock before the big fight: "Just remember who you are: the Bulldog of Bergen, the Pride of Jersey, your kids’ hero and the champion of my heart." Yet I was disappointed that the film didn’t do more justice to a heroism it leaves unexplained and unaccounted for. For here, as in Tiseltown, the only people who really matter are those at center stage: Braddock and his family, his various opponents, his wife, his manager, Joe Gould (Paul Giamatti), and Mr Johnston (Bruce McGill), the sort-of villain who takes away Braddock’s boxing license when he has fallen on hard times but reluctantly allows him to return to the ring when persuaded by Gould ("They oughta put your mouth in a circus," he tells him). The rest of the world is represented by one of Braddock’s fellow dockworkers, Mike Wilson (Paddy Considine) who has been radicalized by his sufferings and those of others in the Depression and tries in an early scene to persuade him to "fight back." "Fight back?" he replies. "Against what? Bad luck?" From this point we look ahead to Mike’s fatal entanglement in a Hooverville protest in Central Park as well as to Braddock’s explanation of why he’s prepared to risk a big loss, or even death, in the ring: "At least I know who’s hitting me." But for most people in the Depression fighting back, in the political sense, and knuckling under were not the only alternatives. They suffered, they did not become radicalized, and they helped each other. It is this social context, this network of support and community and sacrifice that the film leaves out of account in its effort to make Braddock as unique in his suffering as he is later in his victory. Here the Hooverville men are as much political extras as the crowds in Madison Square Garden are the extras in the life of Jim Braddock. But the part of the world that does not center on him ought to be here too, if only so that we can better understand Braddock himself. For instance, part of the movie’s hagiographical effort shows him going to the unemployment relief agency as a last, desperate measure. "I never thought I’d see you here," says the woman behind the counter, perhaps pityingly and perhaps also a little disdainfully." Later when he wins a couple of fights, he returns the money to the government. Likewise, when he begs at the posh Manhattan club where fight managers congregate, he says to them: "You know me well enough to know that if I had anywhere else to go, I wouldn’t be here." When his son steals a sausage from the butcher, Braddock makes him take it back, insisting "We don’t steal" and that the family will stay together in spite of their poverty. Yet, really, Braddock’s virtues were not all that extraordinary. 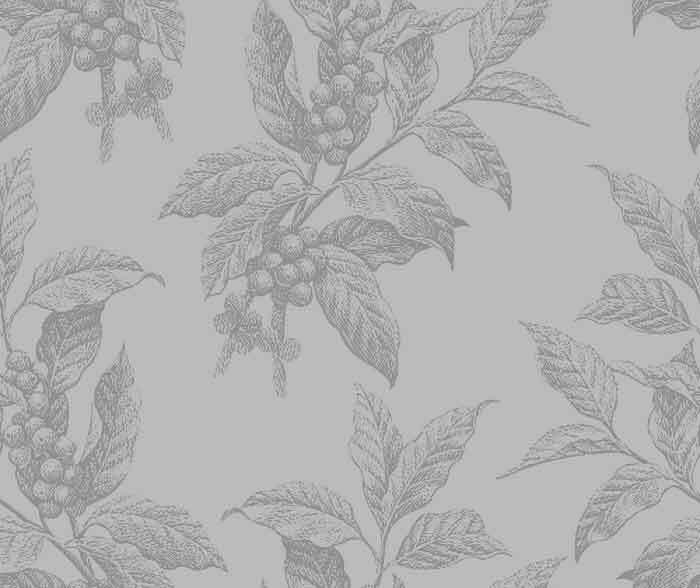 Lots of people felt the shame of applying for relief — lots never did it, no matter how much they suffered as a result — or begging among those whom they once treated as equals. Lots of families stuck together in spite of tremendous strains. What lay behind Braddock’s heroism? The pride of the working man in being self-supporting was not a virtue unique to James J. Braddock but a part of the social capital in the milieu out of which he sprang. Enjoyable as the film is as an account of individual heroism, a really skilful filmmaker might have portrayed this social milieu, this working-class culture of stoicism and self-reliance, as being almost as interesting as Braddock the celebrity with the Cinderella backstory — which is naturally all that Hollywood is really interested in. But unlike Braddock’s fans and admirers met together in the local church to pray for him back in the 1930s, we no longer expect to see any miracles outside the movies themselves.